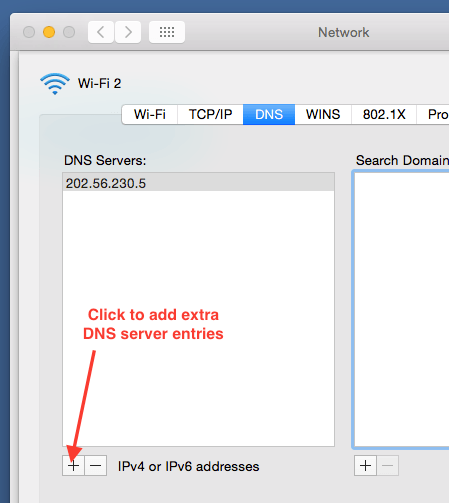 Click on DNS tab to Select DNS settings. 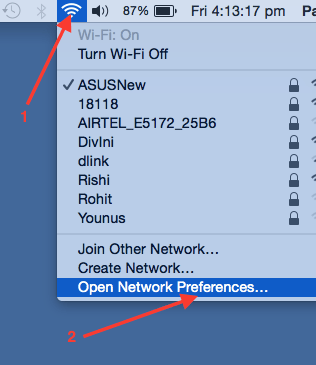 Then click on plus icon as shown below to add more DNS server. 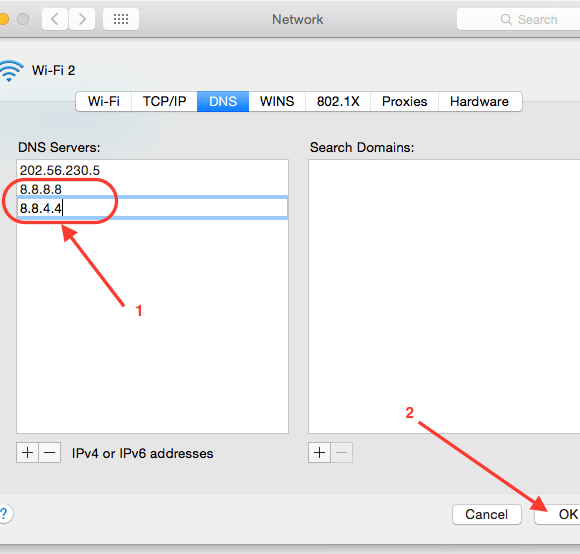 Add public Google DNS servers (8.8.8.8 and 8.8.4.4) after the already existing DNS server. Note that the order of these DNS servers does matter and it is better to keep the new DNS servers after the already existing servers. You can also use minus icon to remove the unwanted DNS server later if needed. 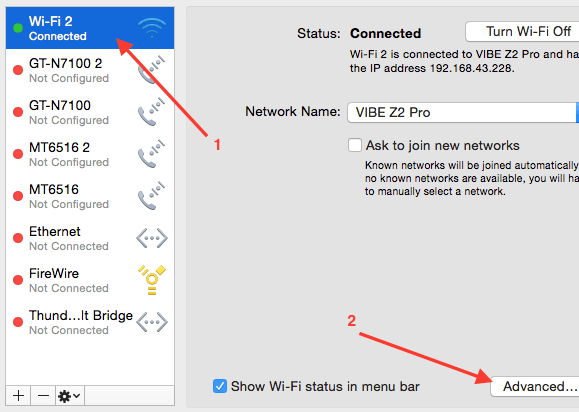 You can also optionally change the order of these DNS servers by dragging the DNS IP addresses in UI. Once IP addresses are entered, click ok and then click Apply button to ensure changes are applied. Run to following command to list the DNS servers set on you machine. Note the presence of entries 8.8.8.8 and 8.8.4.4.